Director General, Dr. B.K. 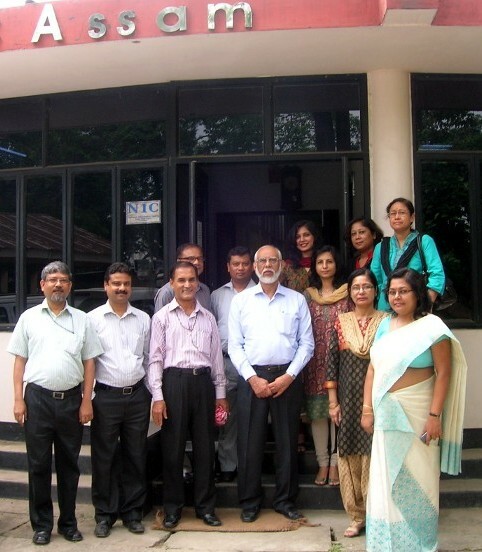 Gairola, poses for a photograph with NIC Assam Staff during his visit to the Centre on 19-6-2012. 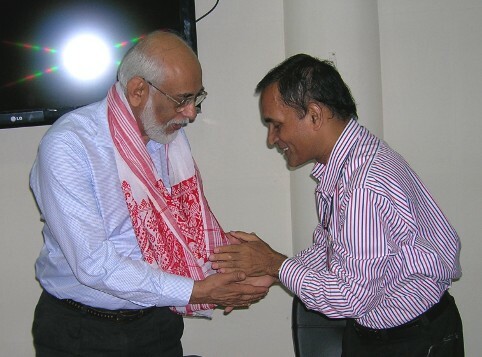 SIO, Assam, Mr. Deepak Goswami felicitates DG with a fulam gamosa.